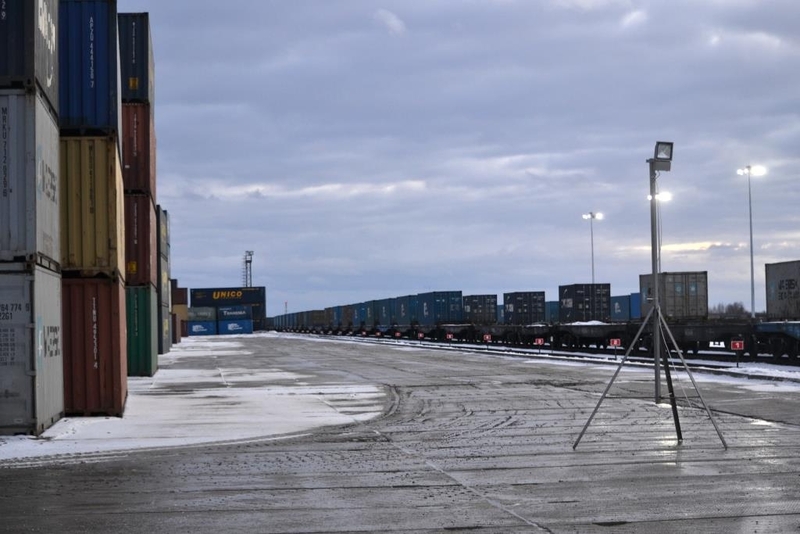 The first container train from Dalian, China, arrived to Vorsino industrial park on February 5, 2016. The new route was opened within the framework of New Silk Road international infrastructure project. The official ceremony was attended by Anatoly Artamonov, Kaluga Region Governor, Alexwey Tsydenov, Deputy Minister of Transport of the Russian Federation, Vladimir Dmiitriev, Chairman of the Board of Vnesheconombank, Vladimir Moldaver, Head of Moscow Railways, a branch of Russian Railways OAO, Sergey Prusov, the Head of the Central Customs Department of the Federal Customs Service of the Russian Federation, An Yun Sun, Director General, Samsung Electronics Rus Kaluga OOO. 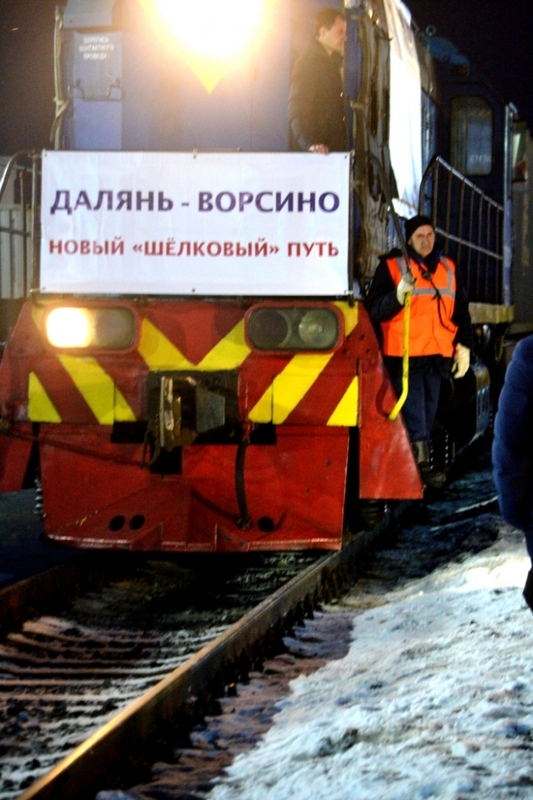 The railway line crossing the Russian territory is to connect a rapidly developing region of North-East Asia with partners and consumers in Europe. Thus, Vorsino is a key element of international logistics chain. It is a major cargo handling and distribution center on the route connecting Europe and Asia. Products and components will be delivered from Vorsino to a number of logistics centers located in Eastern Europe and the Baltic states. New Silk Road is to become one of the fastest land routes connecting large Chinese ports with Easter Europe. It has a length of 7,721 km. 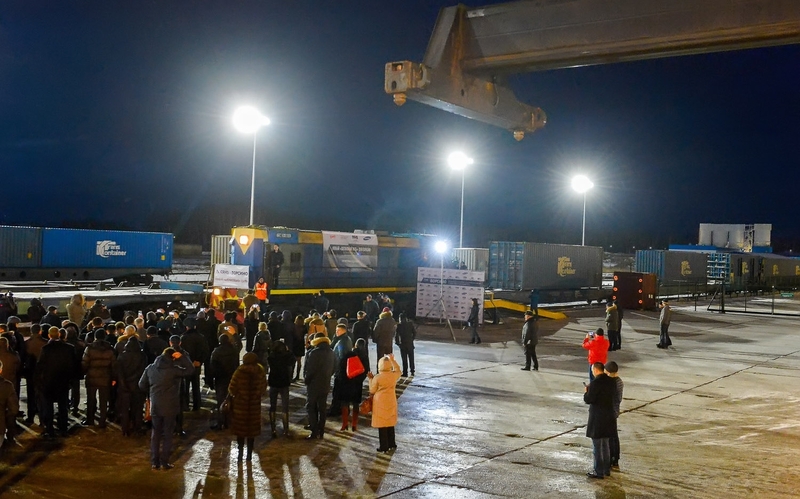 The first container train departed from Dalian to Kaluga Region on January 27, 2016. It took less than ten days to reach the destination point. 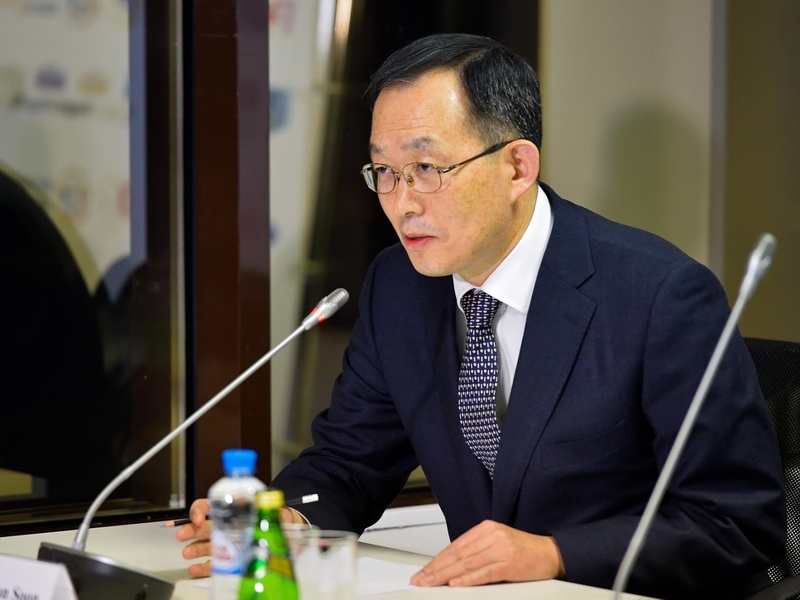 The development of the new logistics corridor is to promote the expansion of Chinese companies in the Russian and European markets, the increase in export operations and the creation of favorable conditions for investments and trade between the countries. New Silk Road managed to cut the time of delivery from China to Europe and from Europe to China and other Asian countries by two times. The new logistics corridor is less expensive as compared to most of the alternative transportation routes. 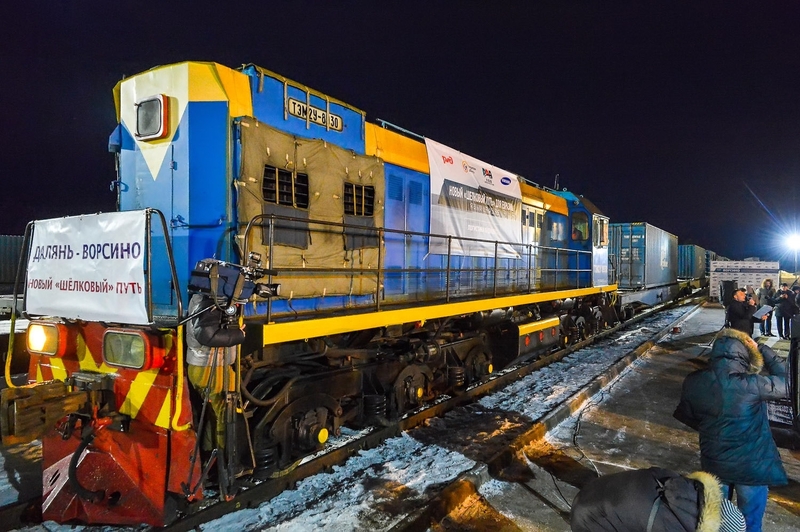 The train, which arrived to Vorsino, transported components for Samsung Electronics plant. 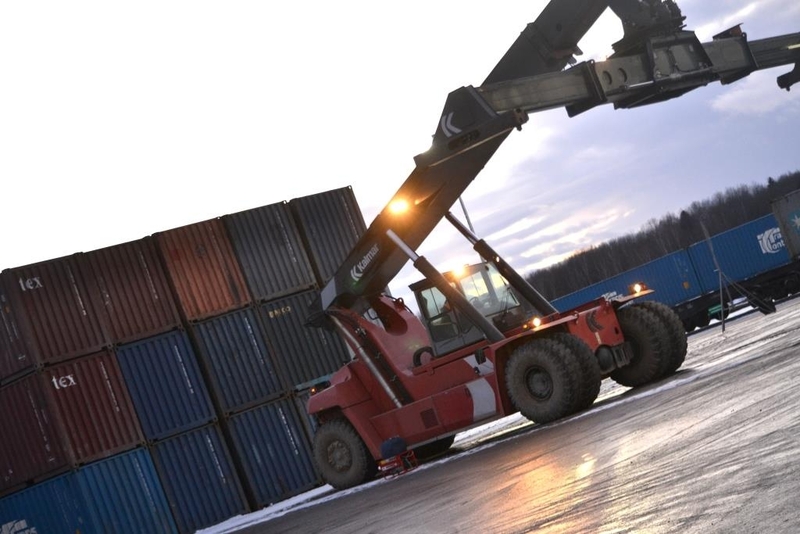 Currently Freight Village Vorsino is able to handle up to 150,000 containers per annum. Subsequently its capacity will be increased to 350,000 TEUs per annum. The project provides new excellent opportunities to supply components for production facilities located in Kaluga Region and adjacent regions. 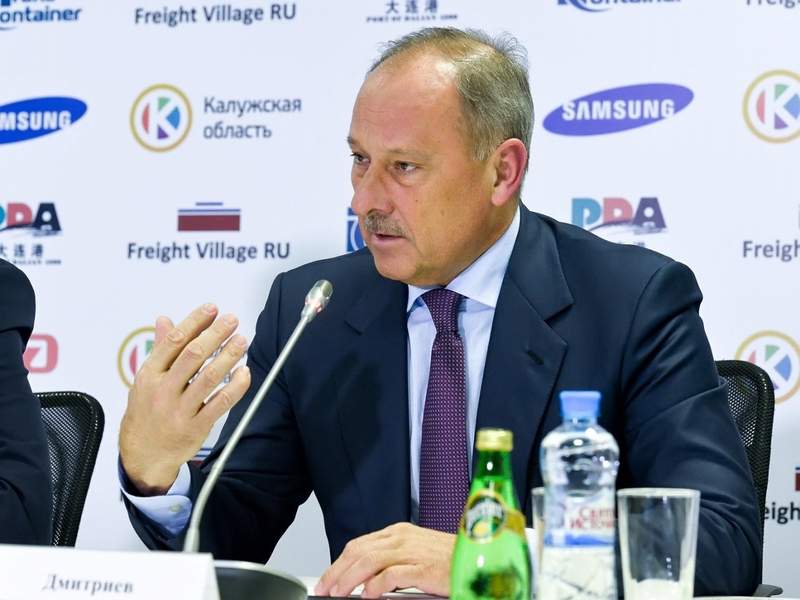 Anatoly Artamonov said: “The fact that Kaluga Region has high logistics potential is widely known within the intyernational business community. This is a good proof that the global business dialog goes on in a new format. 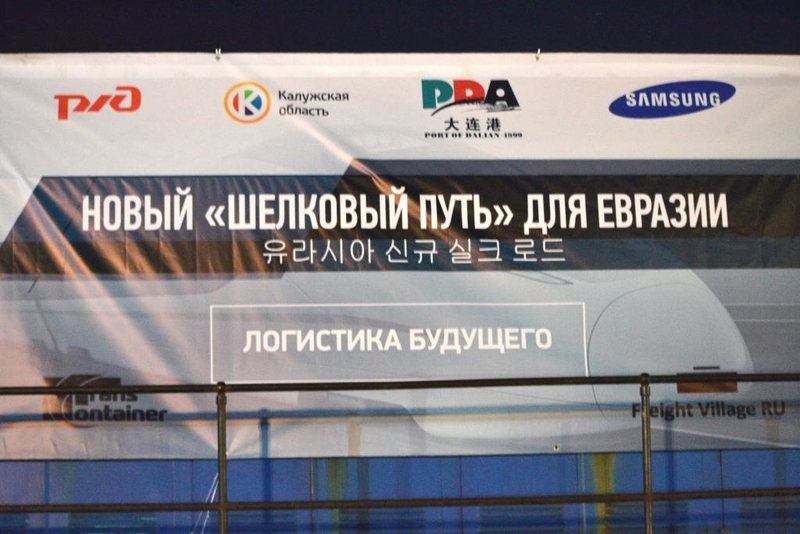 New Silk Road paves the way for further development of business relations between companies from Europe and Asia”. 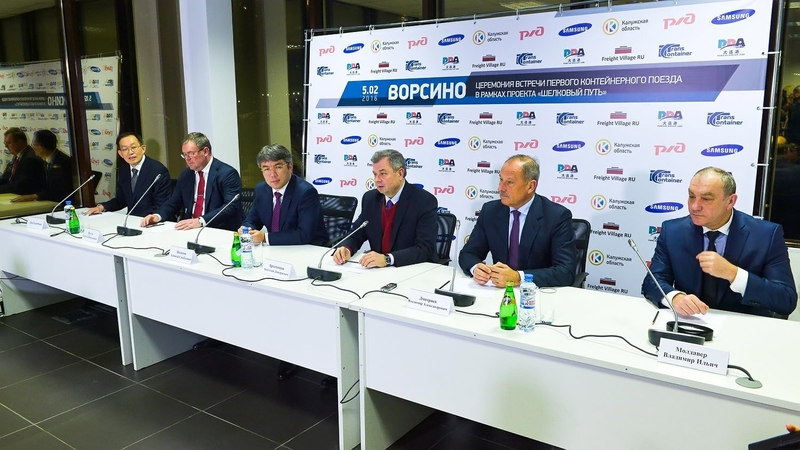 Vladimir Moldaver noted: “This project clearly demonstrates how efficiently government agencies and businesses cooperate. Each party enjoys certain benefits. Government agencies are able to attract investments and create new jobs. Businesses in their turn enjoy guaranteed delivery times, optimal pricing as well as additional transportation capacities”.